The Novelind innovation exchange was launched on September 11 with the aim of connecting individuals, organisations and companies with scientists to serve community development. It has attracted the participation of more than 200 scientists from about 50 universities, research institutions and companies nationwide. 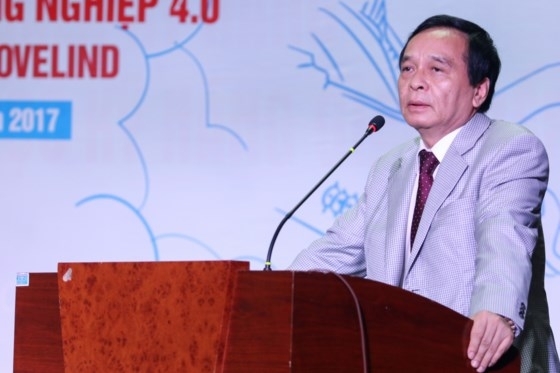 Speaking at the opening ceremony, Duong Trong Hai, Head of the Industry 4.0 Institution at Nguyen Tat Thanh University, and founder of the project, said that there was not yet a quality standard for research in Vietnam. 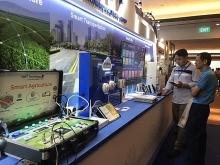 The Vietnamese economy requires initiatives serving Industry 4.0, however, the needs have not yet been satisfied. “Therefore, the exchange is a platform in which enterprises, authorities or individuals can seek initiatives by scientists. This is a stepping-stone in the formation of a technological ecosystem based on the three elements of Industry 4.0: research, education and manufacturing. Novelind is expected to create a technological market and favourable conditions to promote creativity and growth of enterprises, contributing to economic development,” said Hai. The exchange is also a destination for technological organisations to find the best technological solutions. Conversely, through Novelind, innovations developed by other individuals or agencies can be connected with those searching. Nguyen Manh Hung, Principal of Nguyen Tat Thanh University, highly appreciated the idea of Novelind. “It will be a huge success when the exchange attracts scientists in solving social issues. 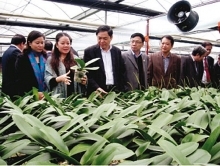 Therefore, Novelind needs the support from universities, research institutions and enterprises,” said Hung. According to Nguyen Xuan Hoai, Head of the Institute of IT Research and Development under Hanoi University, the exchange needs to solve financial, legal, technological and communication challenges. It should be a fair ground which brings equal opportunities for all stake-holders. Vu Anh Tuan, Head of the Hoa Sen Group start-up community project, said that though it is an open space, the exchange should be transparent with an independent audit. It does not need rapid development but an excellent and socially-oriented management board.